Kyiv – For the fifth consecutive winter, bitter sub-zero temperatures pose health and life-threatening challenges for the conflict-affected people in eastern Ukraine. The elderly, comprising 30 per cent of those affected, suffer most. The humanitarian community is striving to provide winterization assistance to the most vulnerable people in Ukraine’s Eastern Conflict Area. 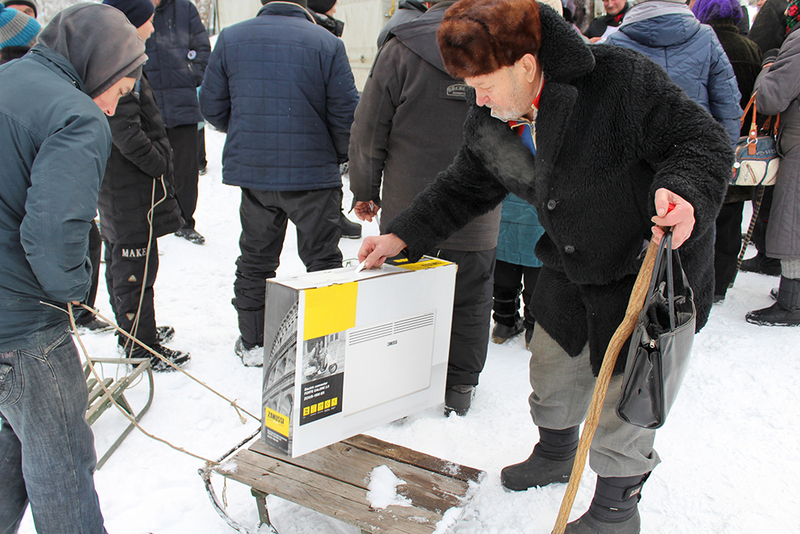 As part of the effort, the International Organization for Migration (IOM) – funded by the Ministry of Foreign Affairs of the Republic of Lithuania – is distributing electric heaters and cast-iron stoves to the residents of the small towns of Novotoshkivske, Orikhove (Luhansk Region), Verkhnotoretske, Pivnichne and Druzhba (Donetsk Region). These settlements along the contact line in government-controlled areas suffer from shelling, lack of vital infrastructure, restrictions of movement and mine contamination. Over 500 households, including single parents, families with three and more children, people with disabilities and the elderly received this essential assistance that will help them endure the harsh winter. This is especially important considering the extreme financial vulnerability of IOM’s beneficiaries and high price of solid fuel – coal or wood – used in most households. Before the conflict, Olha Stepanivna, a pensioner from the town of Pivnichne, used to live in her apartment with central heating. But, because of intensive shelling, she had to move to her shabby village house, located in a safer area. 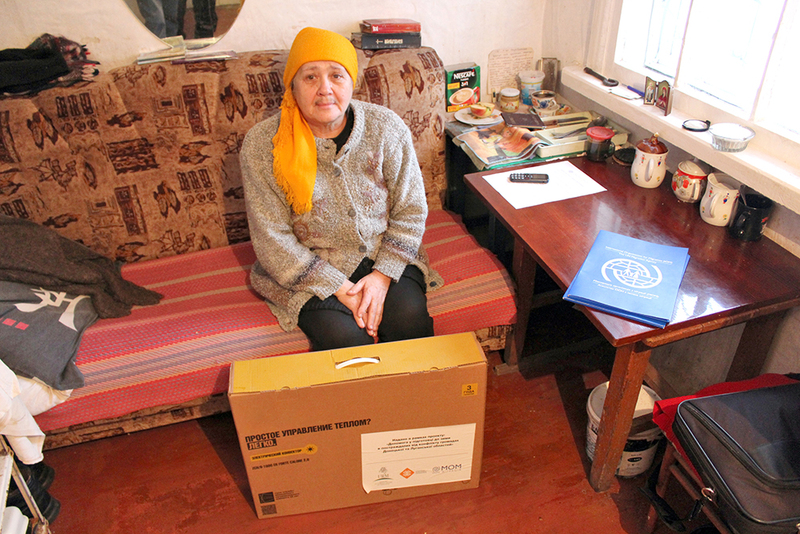 She said that the electric heater came in very handy for her, because she could not afford to buy one. “Now I will put it in the bedroom and will be able to regulate the temperature more efficiently, trying to reduce my expenses on coal and save a little bit of my scarce pension,” she said. Recently, humanitarian agencies called for USD 162 million to respond to the humanitarian situation in eastern Ukraine. 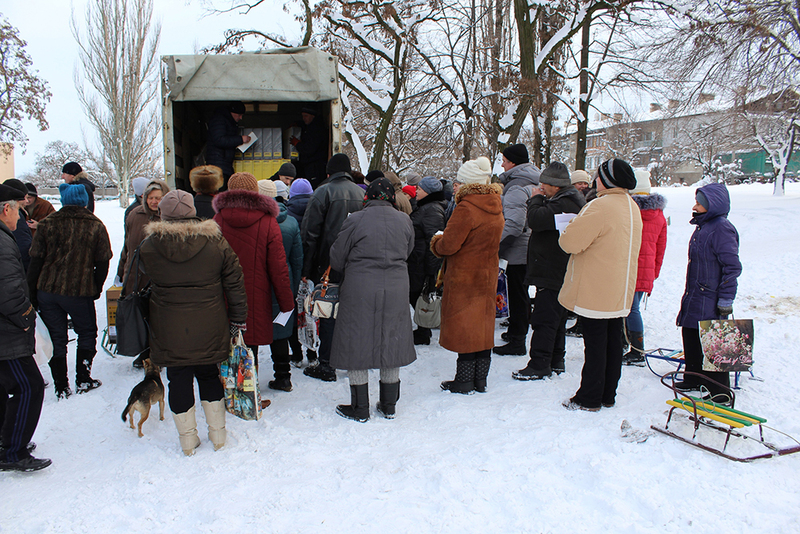 “After almost five years, the capacities of the people are exhausted, forcing them to resort to stark and impossible choices whether to eat, buy medication, send their children to school or be warm at home,” said IOM Chief of Mission in Ukraine, Dr. Thomas Lothar Weiss. “Moreover, the number of people in need of humanitarian and protection assistance, currently estimated at 3.5 million people, has grown over the last year due to widespread landmine contamination and the prevalent mental and psychological impact of the conflict. Ukraine must not be forgotten,” added Weiss.